and take an international ECL exam in Polish! 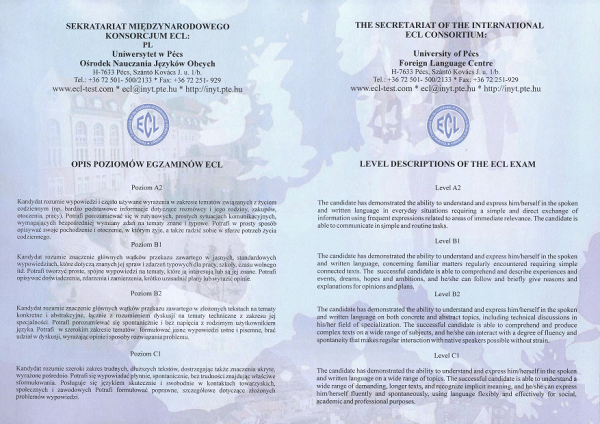 ECL (European Consortium for the Certificate of Attainment in Modern Languages) is EU languages exam, including Polish language, based on a uniform, reliable and valid standard assessing the proficiency of foreign languages. Its origins date to 1992, and its characteristic is comparability of exam results and certificates in all tested languages. The exam is accredited by EALTA (European Association for Language Testing and Assessment). 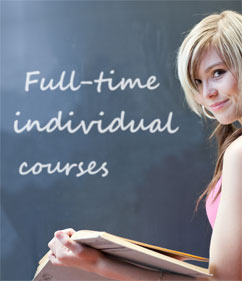 The network of exam centres comprises universities and language schools. Foreign Language Centre of Pécs University (Hungary) serves as a coordinating unit. 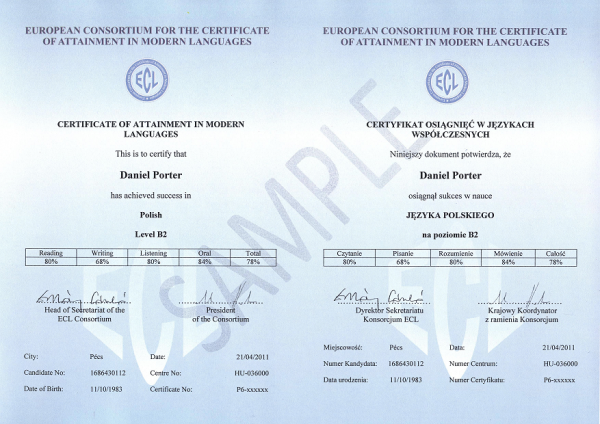 ECL certificate confirms written and/or spoken knowledge of general Polish language, in scope of topics connected with personal and professional life, in appropriate levels: A2, B1, B2, C1, compliant with Common European Framework of Reference. confirmation of knowing Polish with and exam increases motivation for systematic learning. - April 12th : Polish language - levels: A2, B1, C1. - April 13th: Polish language - level B2. Deadline for application: March 14th. - December 6th: Polish language - levels A2, B1, C1. - December 7th : Polish language - level B2. Deadline for application: November 7th. We kindly invite you to join a preparatory course for the exam ECL in Polish language! all materials, including sample ECL tests. You can join the preparatory course for ECL exam when you have completed courses in Polish at A2, B1 or B2 levels (or reach these levels on the placement test). In Poland, in addtion to Warsaw,you can take an ECL exam in Polish in Gdańsk and in Łodź.